THE SIMPLE BLUE SKIRT: What originally was supposed to be a simple blue skirt refashioned from one of Charlie’s old polo shirts turned into a complex process. 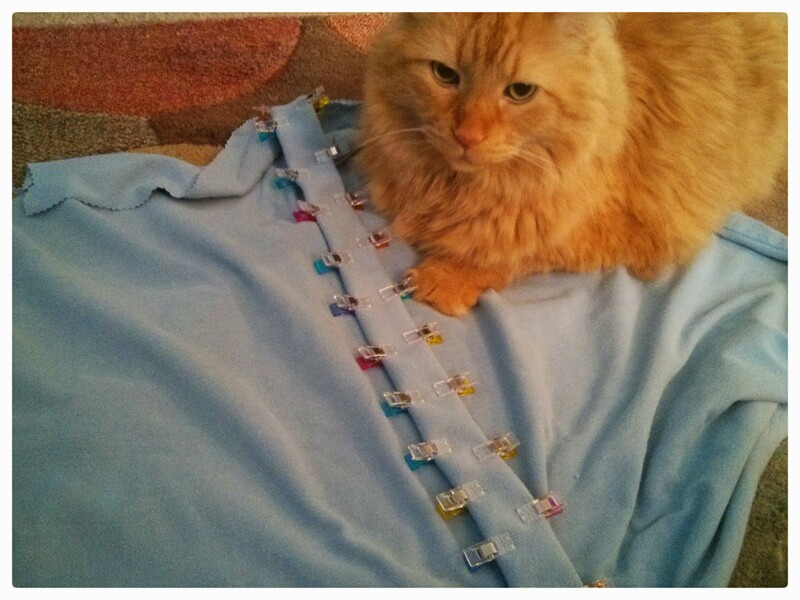 I couldn’t have just another plain simple skirt in my wardrobe so I decided to create a placket for the skirt. *sigh* This project is a work in progress … stay tuned. 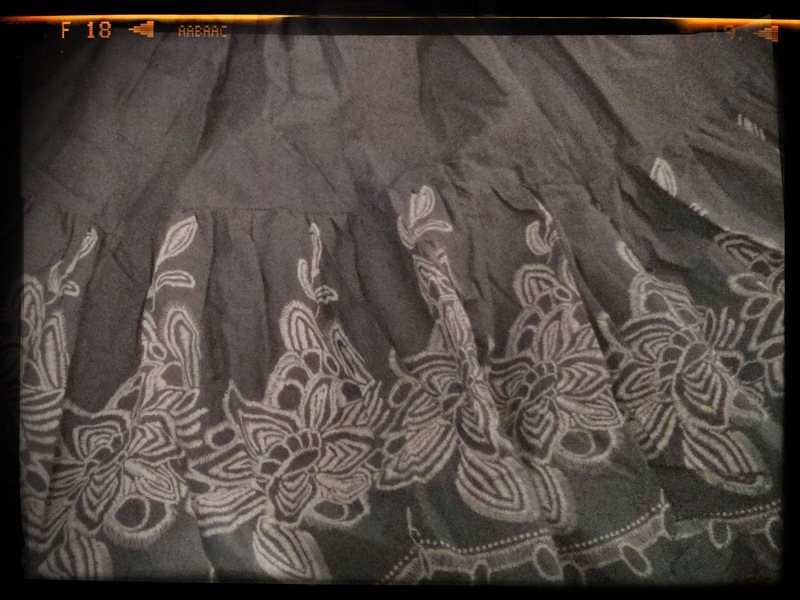 THE BLUE EMBROIDERY REFASHION: I picked up this cute little dress for a few dollars, and I knew I would never wear it as a dress. 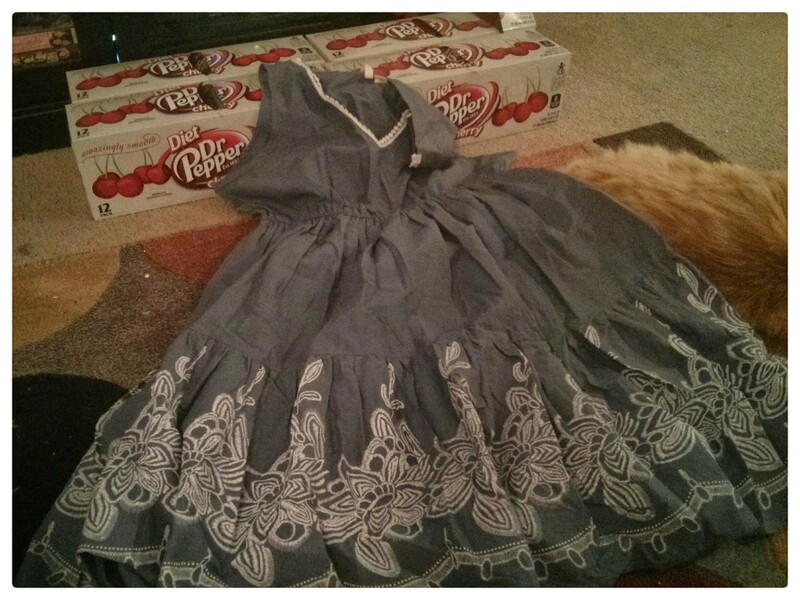 I just fell in the love with the embroidery pattern and knew I would turn the dress into a cute poufy-ish skirt. THE BLUE EMBROIDERY REFASHION: Isn’t the embroidery beautiful? Am I spelling embroidery correct? 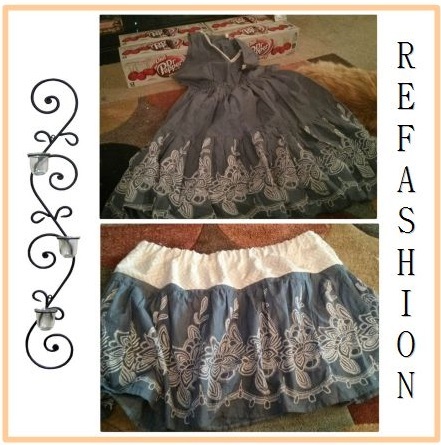 I thought the refashion would be quick and easy. I was so so so so so wrong. WRONG! The dress even had a nice liner that I planned to keep. 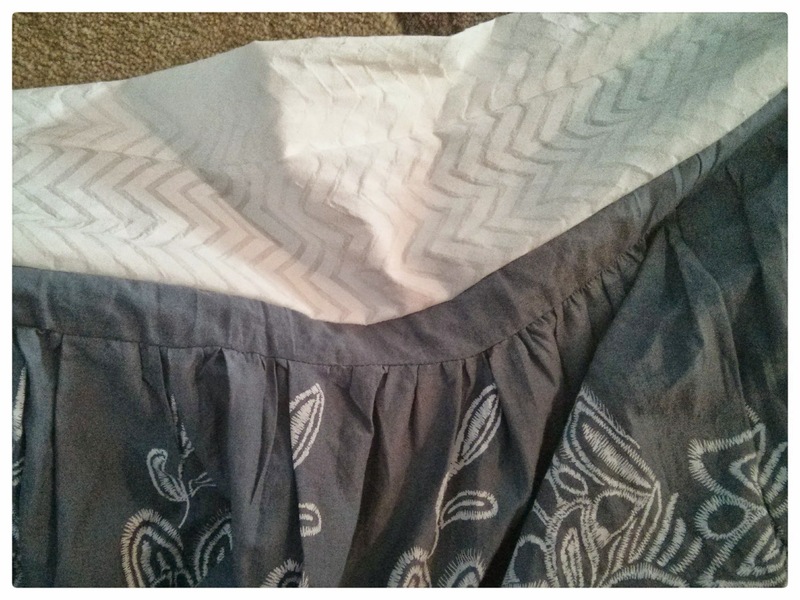 THE BLUE EMBROIDERY REFASHION: I snipped off the top of the dress and kept the bottom portion and the liner together. My plan was to create a casing and simply insert elastic. Sounds easy, right? 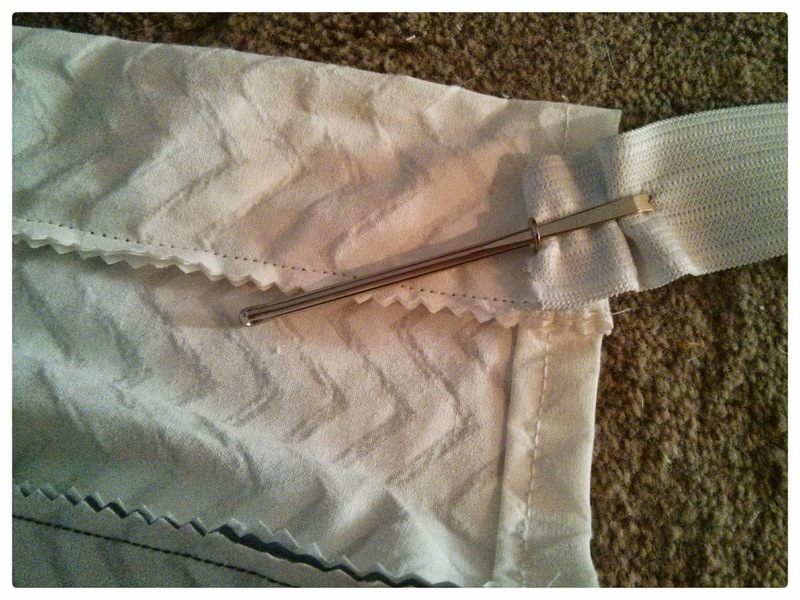 Working with the skirt AND the liner was tough and frustrating. THE BLUE EMBROIDERY REFASHION: Have I mentioned my lack of patience? After having the skirt and liner foil me one too many times, I finally threw out the liner in frustration and cleaned up the skirt portion. I sat on the unfinished skirt for a few days until Plan B formulated in my mind. THE BLUE EMBROIDERY REFASHION: Luckily, I gained a nice stash of white chevron fabric from my dad and thought it matched perfectly. I had enough fabric to create a nice elastic waistband AND a new liner. The rest of the steps just fell in place nicely, which made me SOOOOO happy. 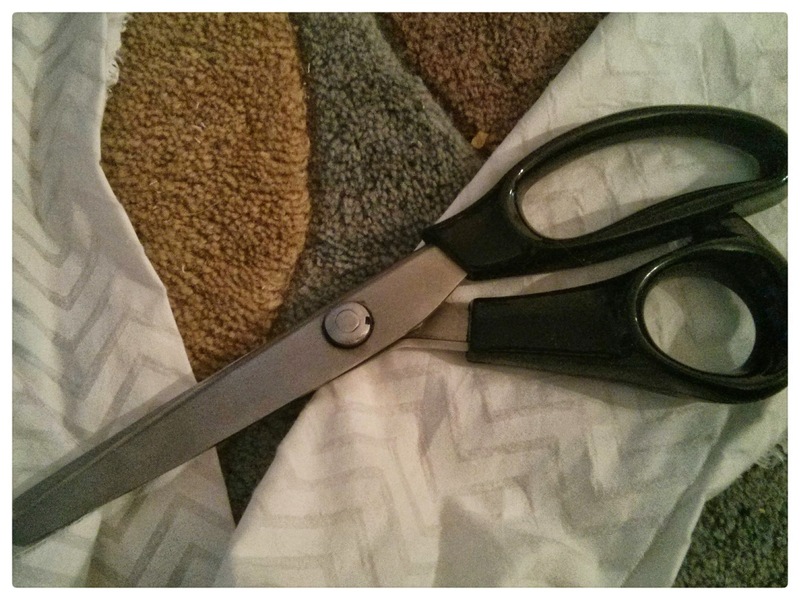 THE BLUE EMBROIDERY REFASHION: Have I mentioned how much I love my pinking shears? They are a godsend, and I love them so much. 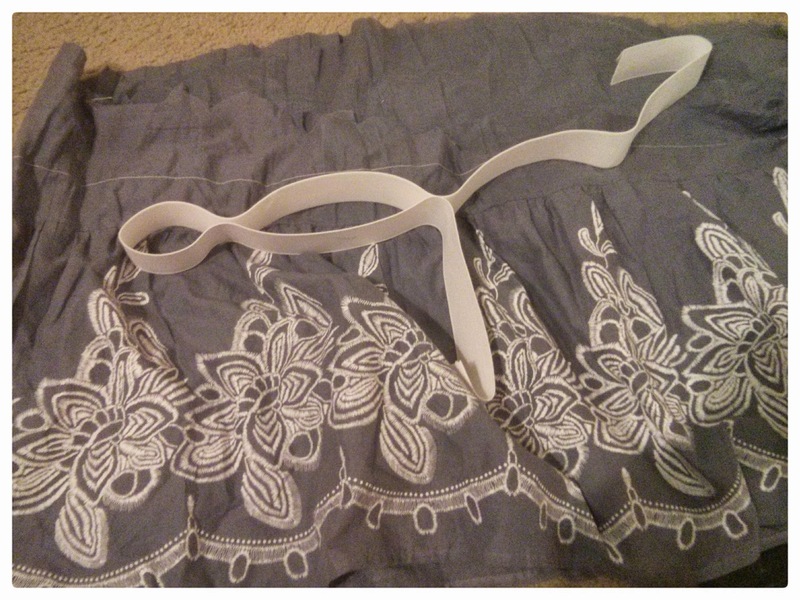 Anyway, I created a new waist area for the skirt and used the rest of the fabric for the liner. 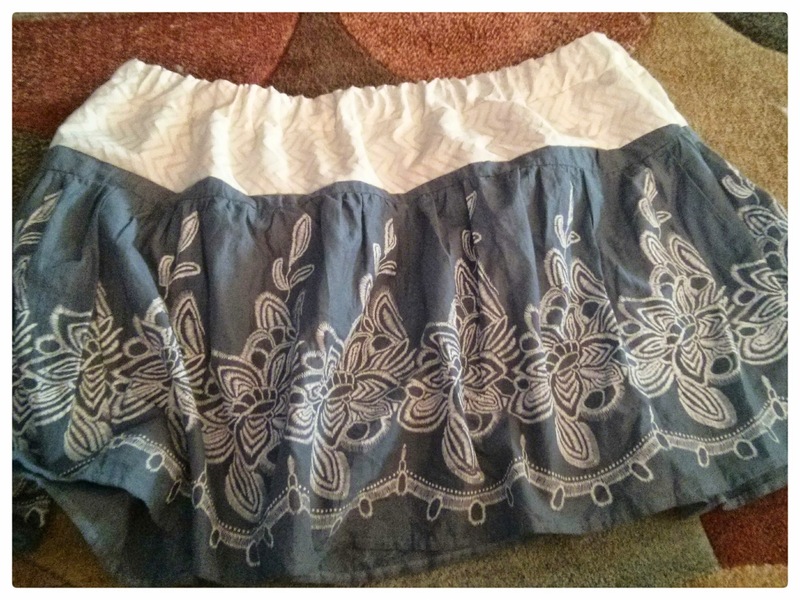 THE BLUE EMBROIDERY REFASHION: Isn’t my skirt pretty? I LOVE IT! Despite a few minor issues and my patience tested way more than I wanted, I think the skirt turned out really well and I can finally show off the pretty embroidery pattern. I’m so so so happy!